(P1) India is forecasted to overtake Japan to become the world’s third-largest smartphone market next year to rank behind China and the United States, a report said Thursday. (P2) According to the latest research by industry tracker Strategy Analytics, the revenues from smartphone sales in the Indian market will reach a record $21.06 billion in 2017, up from $16.5 billion in 2016 and $13.09 billion in 2015. (P3) India’s growth is being driven by low smartphone penetration, expanding retail availability of devices, and wealthier middle-class consumers, the report said. (P4) The revenues from smartphone sales in Indonesia, the world’s sixth-largest smartphone market in 2015, are expected to reach $10 billion for the first time next year, the report said. (p5) “Smartphone makers will strengthen their marketing in new emerging markets, such as India and Indonesia for some time,” an industry watcher said. (P6) Separate data by Strategy Analytics shows that South Korea’s top tech firm Samsung Electronics Co. maintained its status as the No. 1 player in the Indian smartphone market in the first quarter of the year. (p7) China, which has been the engine of global smartphone growth in recent years by taking more than a quarter of global sales, is expected to reign as the No. 1 player, according to the research. (P8) Strategy Analytics forecast the revenues from smartphone sales in the U.S. market will be US$63.8 billion in 2016 and $63.2 billion in 2017. (P9) Smartphone sales in Japan, meanwhile, are expected to drop from $20.3 billion in 2016 to $17.8 in 2017, Strategy Analytics said. (P10) South Korea is expected to stand as the world’s 8th or 9th largest smartphone market for several years, the research showed. 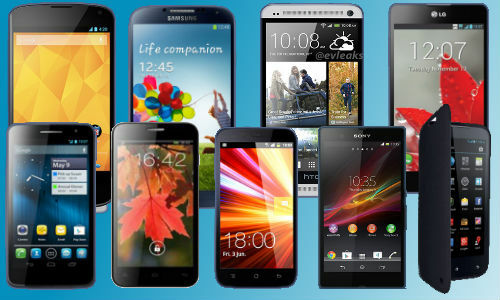 Which smartphone do you own? Why? Do you think China will reign as the No.1 player in smartphone growth? Why or why not? Who is predicted to jump ahead of Japan in the smartphone market next year? What are the reasons for India’s expansion in the smartphone market? Which country is forecasted to see a decrease in sales between 2016 and 2017?